Hello Crafters! It's Valerie here today, AND it's officially the beginning of the Holiday Season! 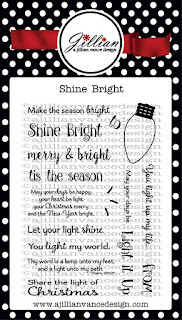 And for that I have 3 Holiday gift tags! 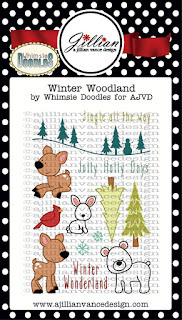 I'm using these goodies today: Winter Woodland stamp set, Shine Bright stamp set, and Minnie Pearl Tag die set. All the papers come from the new Echo Park 6x6 The Story of Christmas paper collection (it's gorgeous!). And the ribbon is Crinkle Ribbon from 3 Girl Jam. I stamped the animal images and the sentiments with VersaMark, and used Zing! Gold Glitter embossing powder on the animals, and Zing! Chestnut Opaque embossing powder on the sentiments. For the 2 reindeer, I added Xmas Red Stickles to their noses, and Gunmetal Stickles to the bear's nose. On the backs of the tags, the To & From are stamped with Memento Rich Cocoa ink, and the bird is stamped with Memento Lady Bug ink. Have a wonderful day, and if you're going out shopping on this Day-after-Thanksgiving in the States, I hope you stay safe and find a lot of awesome deals! 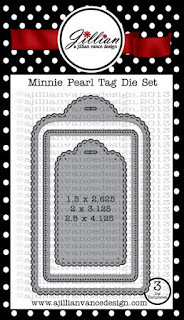 totally cute set of tags! !